Do you use a special filter to replace whatever has been lost, or do you leave the photograph unadulterated? Eric Becker: Before we get into more details about Brazilian literature itself—how is it you came to literary translation, and why Brazil? AE: As is probably the case with most literary translators, I didn’t just wake up one morning and think “I want to be a literary translator.” Rather, it came to me slowly. I had originally studied Creative Writing at university in Australia, and wanted to be a writer. But fresh out of university, I married a Brazilian and moved to Brazil. I did what many foreigners do when they first arrive here: I taught English. But it wasn’t really what I wanted to be doing. I realized I had a flair for language and did a course in translation, with the sole intent of becoming a literary translator, even though I had read barely any Brazilian literature before that. I just had a hunch that the creative writing and translation skills could be a useful pairing. EB: You’ve been translating now for about a decade and a half. What is it you’ve learned or what has changed in your practice during that time? AE: Well, apart from settling into a way of working that works for me, I’ve developed countless theories about the differences between Portuguese and English, between Brazilian literature and English literatures. In fact, with every new book I translate, I either further one of my pet theories a little or more, or develop a completely new one. For example, I am endlessly fascinated by how certain literary aesthetics can be received so differently from one culture to the next. The very grammar of the Portuguese language, and the culture in which it is embedded, have given rise to such different perceptions of what constitutes “good style.” Sentences that are witty in Portuguese can come across as pedantic or convoluted in English. On October 28, a crowd of more than 200 came out for Words Without Borders’ annual gala to celebrate the publication’s 11-year history of publishing and promoting international literature. 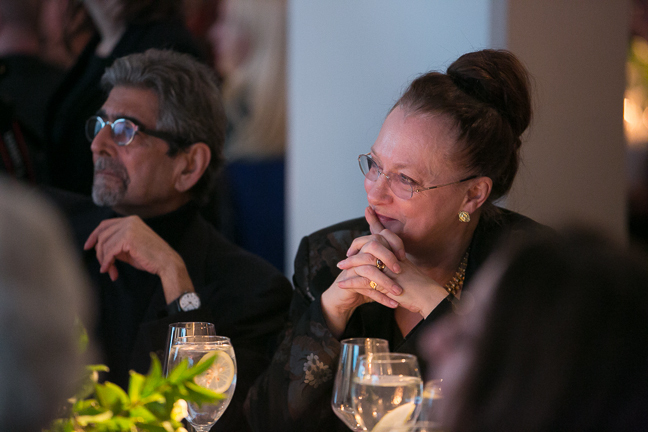 With a crowd from across the New York literary world, the evening was hosted by Saïd Sayrafiezadeh. True to Words Without Borders form, the evening featured bilingual readings in English and from Belarusian, Chinese, and Sinhala by Valzhyna Mort, Yiyun Li, and Ru Freeman. The first full-length work by Danish writer Naja Marie Aidt—born in 1963 in Greenland, raised in Copenhagen, and currently living in New York City—is now available in English with the translation of her short story collection Baboon, which earned her the biggest literary prize in Scandinavia, the 2008 Nordic Council Literature Prize, and is being published this month by Two Lines Press in a sharp translation from Denise Newman. Aidt’s writing includes nine books of poetry, short stories, radio plays, plays, films scripts, and children’s books, and her work has been translated into Italian, German, French, Swedish, Norwegian, Latvian, Icelandic, and Czech. 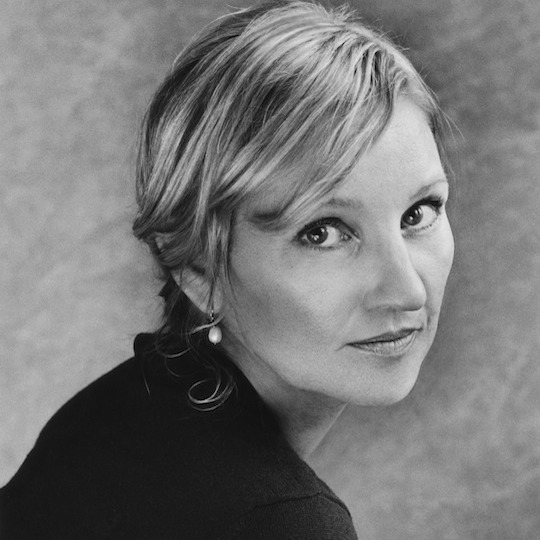 Her literary career began in 1991 with the poetry collection Så længe jeg er ung (“As Long As I Am Young”), part one of a trilogy she completed in 1994 and which, like Baboon, plumbs the depths of relationships with family and friends. 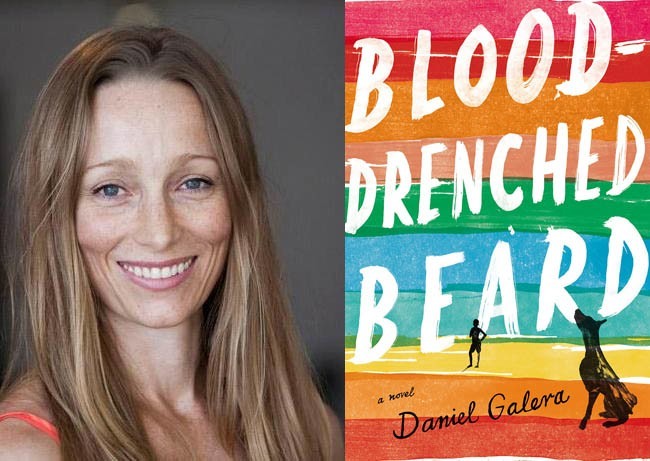 Baboon is her third short story collection. Although her subject matter with these new stories is quotidian, Aidt’s characters and their fates are anything but: After their son is tossed from a bike and injured, a husband decides there is no better time to reveal to his wife details of his affair with her sister; a well-meaning couple, forgetting to place a bag of candy in their supermarket basket, find themselves charged with theft above their assiduous protests. 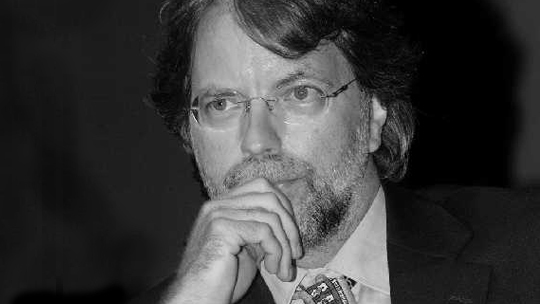 Peruvian writer Ulises Gonzáles founded the thrice-yearly journal Los bárbaros in 2014. Gathering work from Spanish-language writers about New York, Gonzáles talks about the important role of New York City for contemporary writers in Spanish and his hopes for the journal’s future. Eric Becker: How did the journal come to be? Ulises Gonzáles: It’s a great story, actually. Some of us were in a class at the CUNY Graduate Center and someone mentioned something about the poem “Waiting for the Barbarians” (by the Greek poet C.P. Cavafy). 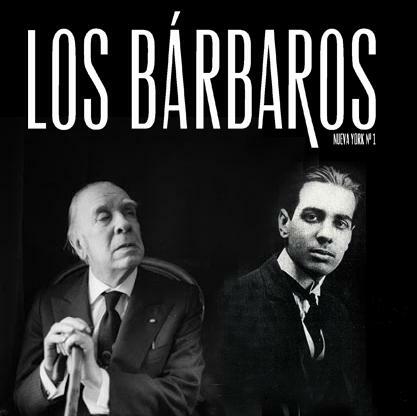 But that person connected it to the idea that now the barbarians are major figures in language and literature departments (throughout the world) and were creating their own literary theories and not leaving it just to the French anymore—because of people like Borges. 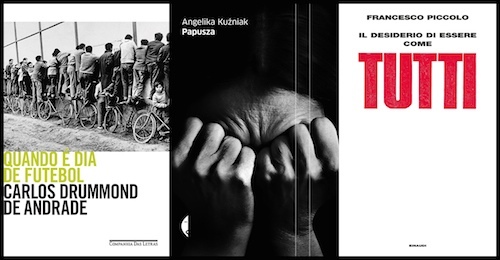 Antony Shugaar (editor-at-large, Italy): I’m reading the shortlisted books for Italy’s top literary prize, the Strega (named after a saffron-yellow after-dinner liqueur), which were announced in early July. One of the most interesting is Il desiderio di essere come tutti, The Desire to Be Like Everyone Else (Einaudi) by Francesco Piccolo, which amounts to a psychic autobiography of the past 40 years of Italian life, and the transition from a time of communist ideals to the present. Suffice it to say that the book is broken down into two parts: 1) The Pure Life: [Italian Communist Party leader Enrico] Berlinguer and Me and 2) The Impure Life: Berlusconi and Me. And I’m pleased to say, it was the winner. The latest winner of the Neustadt Prize, Mozambican writer Mia Couto, stands as one of the preeminent writers working in Portuguese today. 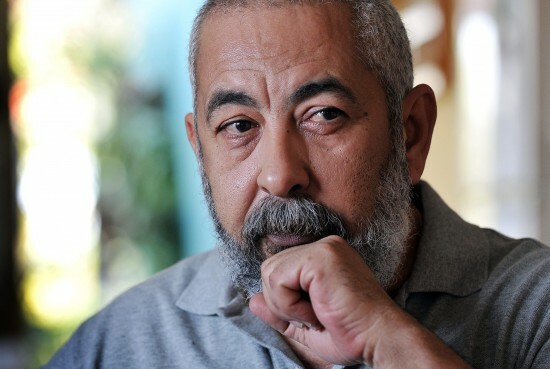 Couto, 58, counts poems, short stories, novels, and essays among his output of 25 books. The Neustadt honor comes on the heels of the 2013 Prêmio Camões, awarded to Couto in May. Much as the Neustadt is often called the “American Nobel,” the Camões is likewise nicknamed the Portuguese-language Nobel.